Sewing machines have helped us create the best clothing designs for decades. The technology used in sewing machines continues to evolve every day. Thanks to the advancement in these machines, we can now create impressive designs with little effort. We now have programmable sewing machine options that deliver a better performance than manual machines. These machines make embroidery and sewing easier and help tailors, dressmakers, quilters, and crafters in bringing their creative vision to life. 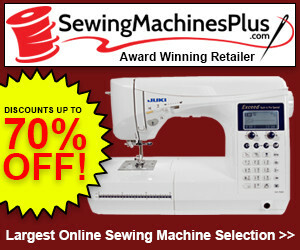 There are a variety of programmable sewing machines available in the market today. That is why it isn’t easy to determine which one is the best. However, you shouldn’t worry if you’re searching for the best programmable sewing machine as we’ve done the research work for you. We have reviewed the best programmable sewing machines to help you choose the one that meets your requirements. After you have gone through the review, you will have an idea about the type of programmable sewing machines available in the market. Moreover, you’ll be able to get a programmable sewing machine that gives you a bigger bang for your buck. Before we get to the review, we need to take a look at some of the benefits of programmable sewing machines and different types of these machines. Programmable sewing machines can make stitching effortless through its programmable modes. These machines also allow you to control the strength of thread tension with these machines. Moreover, they can connect to the internet and download firmware updates automatically so that they always function at their very best. If you have a programmable sewing machine and you like embroidery, you have some great options. You can directly download patterns from websites on the internet and even customize and create your own designs on some models. Imagine creating a stock pattern and then changing the stitching patterns, size, and colors to create something you love. This can be accomplished with programmable sewing machines. Several of today’s programmable sewing machines come with a variety of materials that can help beginners develop their sewing skills from scratch. Some machines incorporate tutorials so that anyone who doesn’t know how to sew can learn it safely and quickly. Another major benefit of programmable sewing machines is that they allow you to create professional designs in less time. If you know how to thread a sewing machine, you can start sewing and the programmable machine will make the job easier for you. Programmable sewing machines are also liked because they help create more consistent end-products. When you are trying to get everything done with a manual sewing machine, there is a chance of variations in thread tension and how the material is fed to the foot. Programmable sewing machines help eliminate these issues. It is important to mention that programmable sewing machines can experience software issues. Corruption in the firmware can impact the performance of your sewing machine. Therefore, if you intend to use a programmable sewing machine, be careful when downloading updates from the internet. Many of the sewing machines available today offer some kind of digitization. You’ll often find that automatic threading, thread tension, and speed control can be automated. These are the common issues that people struggle with the most, especially when they are starting to learn sewing. The automatic features in the sewing machines help make sewing less troublesome and more fun. If you choose a programmable sewing machine, you’ll see more automatic features like programmable embroidery patterns, stitch patterns and monogramming. Some programmable machines can be set up to create automated seams, rolled hems, and other sewing chores. If you purchase a premium model, you will get everything automated. You may only have to select your selected stitch, the pattern of your choice and install a spool or bobbin. Then, you can control the speed to create an amazing design. For all those who are searching for an inexpensive programmable sewing machine, the Brother CS6000i could be the right choice. 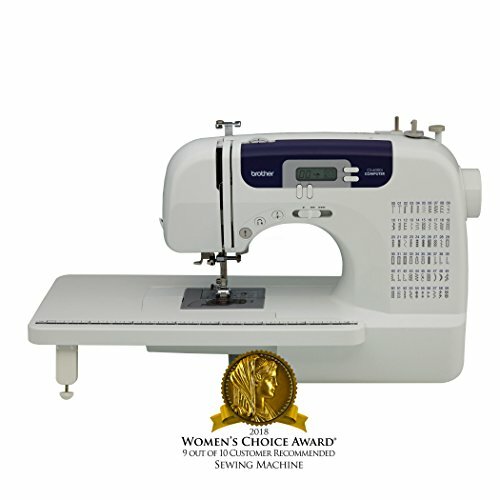 It delivers good value for money and has tons of impressive features like 7 styles of auto-size buttonholes, 60 built-in stitches, variable speed control, and LCD display. Although it has a variety of features, it is still a great sewing machine for beginners. 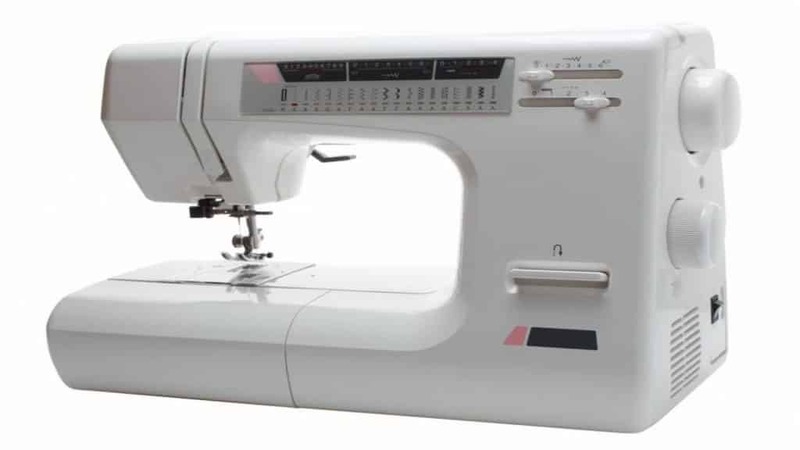 Brother CS6000i Price: $156.44 "All in all, if you're doing basic sewing, I highly recommend!" Not only is the Brother CS 6000i great at performing sewing jobs, it’s also a good machine for quilters. You may find it difficult to work on a quilt if you have a limited workspace. But, this programmable sewing machine has an oversized, detachable table. This gives you the extra space for working on quilts. If you are a quilter or crafter on a budget, then the Brother CS6000i sewing machine could be just what you are looking for. 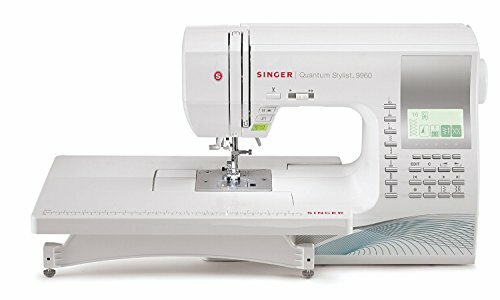 The Singer Quantum Stylist 9960 is one of the best programmable sewing machines in its price range. It is a versatile machine that is perfect for sewing, quilting, crafting, garment-making and even for creating exquisite home décor items. If you are a quilter or if you often find yourself working on large sewing projects, you would love the wide extension table that gives you a large surface to sew and quilter on. There is a needle up and down feature too that makes topstitching, appliquéing and free-motion quilter easier. The Singer Quantum Stylist 9960 comes with 600 stitches including decorative, stretch and basic stitches. It is easy to select a stitch – you can find and select one using the push button selection feature. The eight stitches that you will probably use more often are located right on the front of the Singer sewing machine. So, you will find it easier to switch to any of those common stitches. You can also add lettering to your sewing and quilting projects thanks to the 5 alphanumeric fonts available in the machine. In addition, you get 13 one-step buttonhole styles. With its built-in automatic needle threader, backlit LCD display, and snap-on presser feet, the Singer Quantum Stylist 9960 is truly designed to make sewing and quilting easier. It is a great option for advanced and experienced sewers. 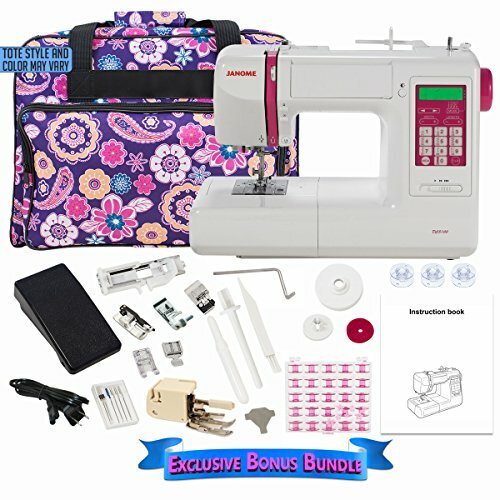 The Juki HZL-F600 Computerized Sewing and Quilting Machine is one of the best programmable sewing machines available in the market today. It can handle the toughest jobs and is dependable enough to operate continuously for several hours. With its metal frame, durable parts, and hard case, the Juki HZL-F600 is made to last. Its versatility is virtually unmatched and thanks to its advanced system, you can complete just about any quilting or sewing project. The Juki HZL-F600 comes with 625 stitches including quilting, utility and decorative stitches. It is easy to select the stitch you want to use and you can also choose the width and length of the stitch that’s best for your sewing task. You can also edit the preset stitch and save it for later use. If you want some personalization on your projects, you can use the four fonts available for numbering and lettering. 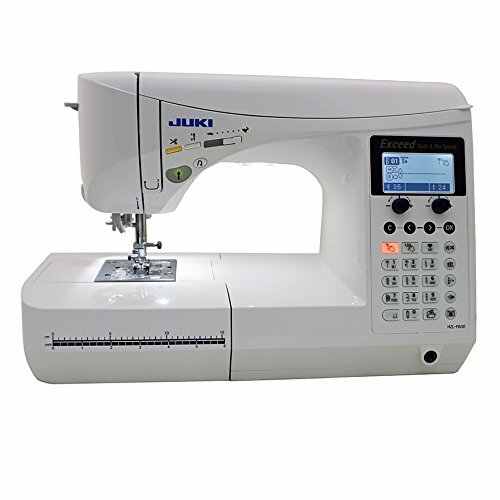 The Juki HZL-F600 is a good choice for experienced and advanced sewers who love to sew. It isn’t ideal for beginners as the advanced features on the machine aren’t easy to understand. The Janome Memory Craft 6500P has a five-star rating on Amazon.com and it isn’t hard to see why. While this programmable sewing machine does cost more than others on the market, we believe that the price is worth it. Janome Memory Craft 6500P Price: $1,099.00 "So happy with this machine. I want to sew every day!!!" You can use the Janome Memory Craft 6500P to make quilts, home décor items, garments, and more. It is made to fit the needs of advanced sewers and has the speed, precision, and power required to deliver professional quality results. The Janome Memory Craft 6500P comes with a variety of features that’ll help you successfully complete challenging projects. It is also a great choice for quilters. They will appreciate its advanced feed mechanism that’s great for sewing thick materials and fabrics. If you like creating large quilts, you would love the 9” x 5” throat space of the machine that makes it great for large quilts. The Janome Memory Craft 6500P undoubtedly has some of the most advanced features that you want from a programmable sewing machine. If you’re a professional who earns from sewing, you would love this machine for its impressive features. Singer Stylist 7258 is a popular programmable sewing machine that’s packed with good features and is budget friendly. Its ease of use and simplicity make it a good choice for beginners while advanced users will appreciate the versatility of the Singer Stylist 7258. This programmable sewing machine comes with 100 stitches including nine basic stitches, eight stretch stitches, and 76 decorative ones. There is a push button on the machine that you can use to select the stitch of your choice. The ideal stitch width and length is preselected, so you do not have to select it yourself. But, if you want, you can adjust the settings you prefer. 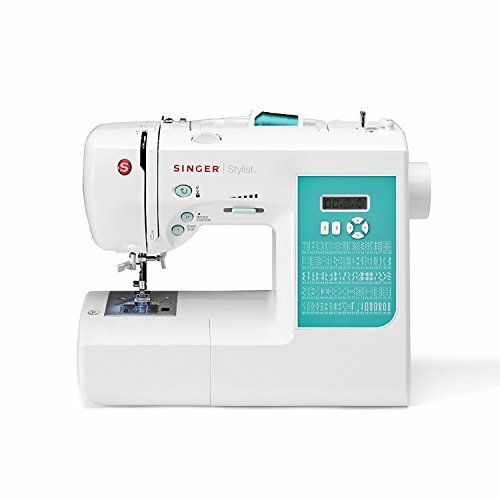 You can use the Singer Stylist 7258 to make garments, quilts, and home décor items. It is also great for decorative sewing, heirloom sewing, crafting and more. This programmable sewing machine is extremely durable thanks to the heavy duty frame that’s built to last. The Brother HC1850 Computerized Sewing and Quilting Machine is popular among customers. It is a great machine for sewing in general, but you’ll love it even more if you are a quilter. This programmable sewing machine is flexible, versatile and reliable. Moreover, it is easy to transport and easy to use. 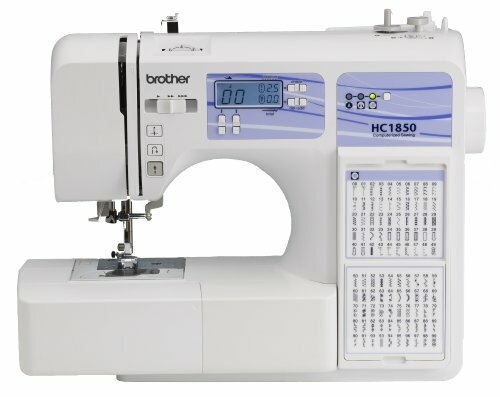 The features of the Brother HC1850 will appeal to garment makers, quilters, and crafters. For example, this model allows you to perform free-motion quilting, which you would appreciate if you are a quilter. There is also a monogramming sewing font for personalizing garments, home décor items, craft projects, and more. Included are eight specialty symbols, seven punctuation marks, and 55 alphanumeric sewing stitches. The Brother HC1850 also comes with a bright LED bulb to ensure that your work area is well lit. This programmable sewing machine is packed with impressive features, yet it’s portable and lightweight. If you want an awesome all-purpose programmable sewing machine that can also make your quilting work easier, the Brother HC1850 would be a good choice. 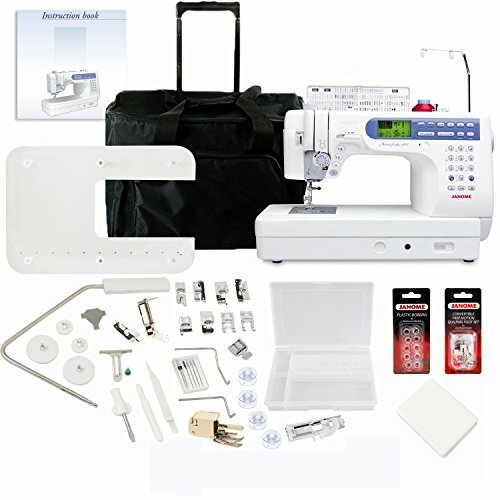 The Janome DC5100 is durable and reliable and comes with a variety of features that can make your sewing jobs easier. There is very little that you can’t do with this programmable sewing machine. From crafting quilts to creating home décor items and sewing garments, the Janome DC5100 can handle a wide variety of tasks. Janome DC5100 Price: $649.00 "This is my second Janome machine. I've sewn everything from light weight cottons, knits, and home decor fabric with great success." When you take a closer look at the Janome DC5100, you will know that this programmable sewing machine is built to last. The built-in memory of this model can hold a maximum of 50 customized patters. Moreover, it can remember your custom stitch settings. 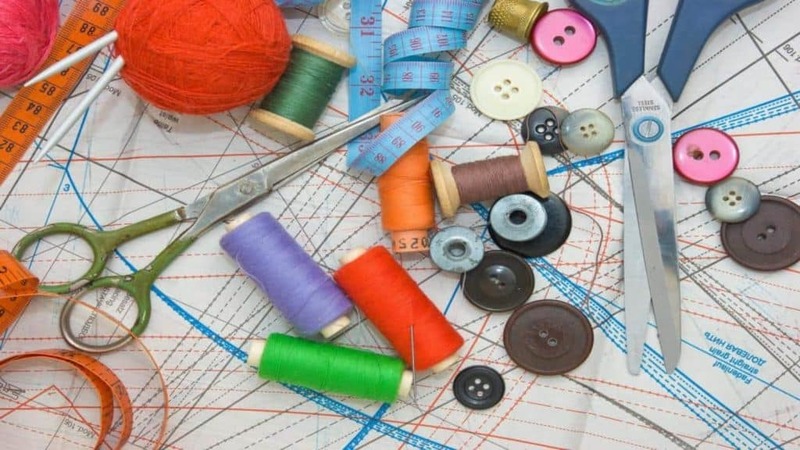 You can edit a stitch and use it in your future sewing jobs. Some of the things you’ll get with the Janome DC5100 programmable sewing machine includes five one-step buttonholes, 167 stitches (built-in), locking stitch button, snap-on presser feet, and speed control slider. The Janome DC5100 sewing machine is a good choice for both advanced and intermediate users. If you want a programmable sewing machine with plenty of amazing features, this could be what you are looking for. We hope that this review will help you in finding a programmable sewing machine that best suits your needs. Carefully check the features available in these machines and then choose the one that you find most suitable. We Found the 6 Best Serger Sewing Machines: Which is Best for You?